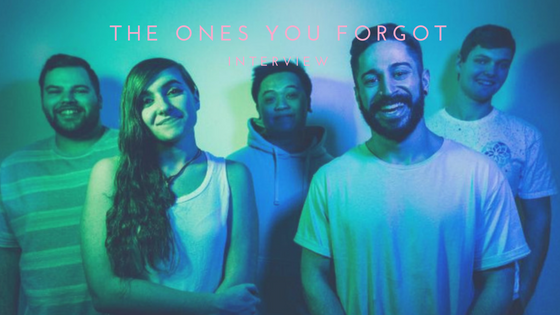 Being too afraid to say what you're really thinking is the theme of The Ones You Forgot's new EP. Jenna Bruno (vocals), Ferdinand Benauro (guitar), Matt Thompson (guitar), Justin Rodman (drums) and Lance Nelson (bass) recognize the difficulty of expressing yourself fully and hope listening to Too Afraid to Say will show that vulnerability is natural and, most important, ok.
1. What was it like to play your first show? 2. You opened for Boys Like Girls, what was that moment like for you? 3. Describe your new single, "Here Forever". 4. What does this EP mean to you? 5. Is there anything you're still afraid to say? 6. Who would you like to see put out an album this year?